In Holland we have a lot of red currants and they are perfect as a garnish on top of a cocktail. Because they’re very sour, I thought they might also work good as a syrup. It turned out to be an amazing syrup with a lovely sweet and sour balance, but I needed to do some experimenting before I got there. 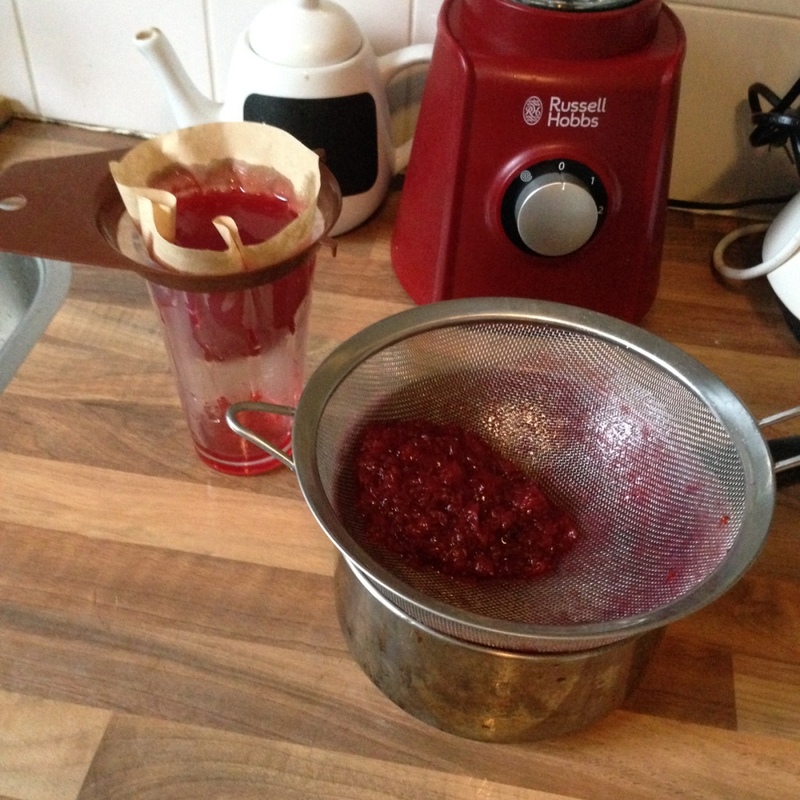 At first, I muddled some berries and added an equal part of sugar to the juice. The trouble I soon found myself in was, that once I turned the red currants into a syrup, the liquid would quickly change into a gelatin substance. 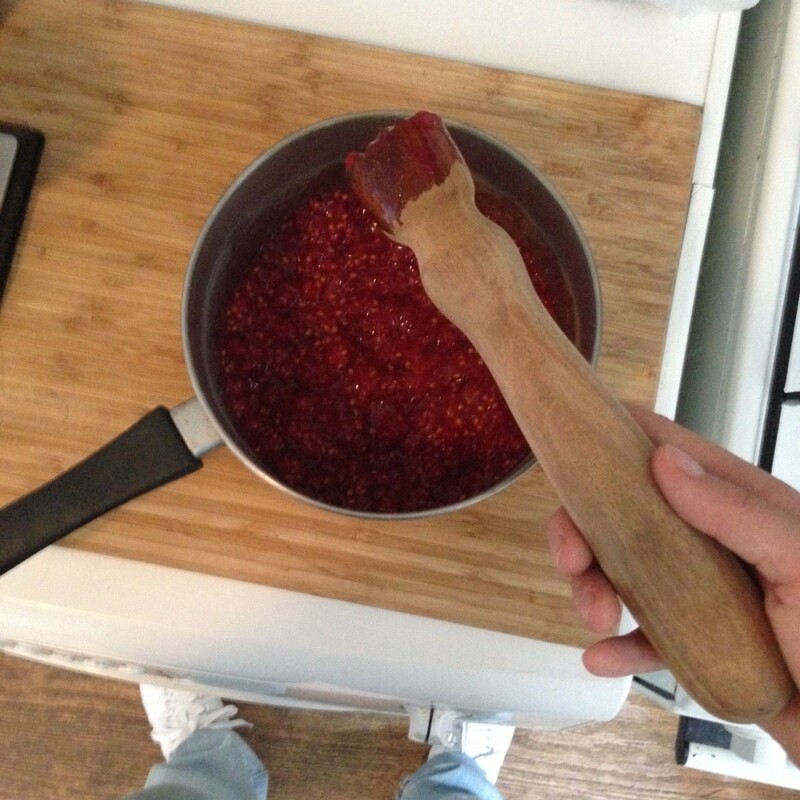 This wasn’t the texture I was looking for as it wasn’t very mixable in this jelly form. 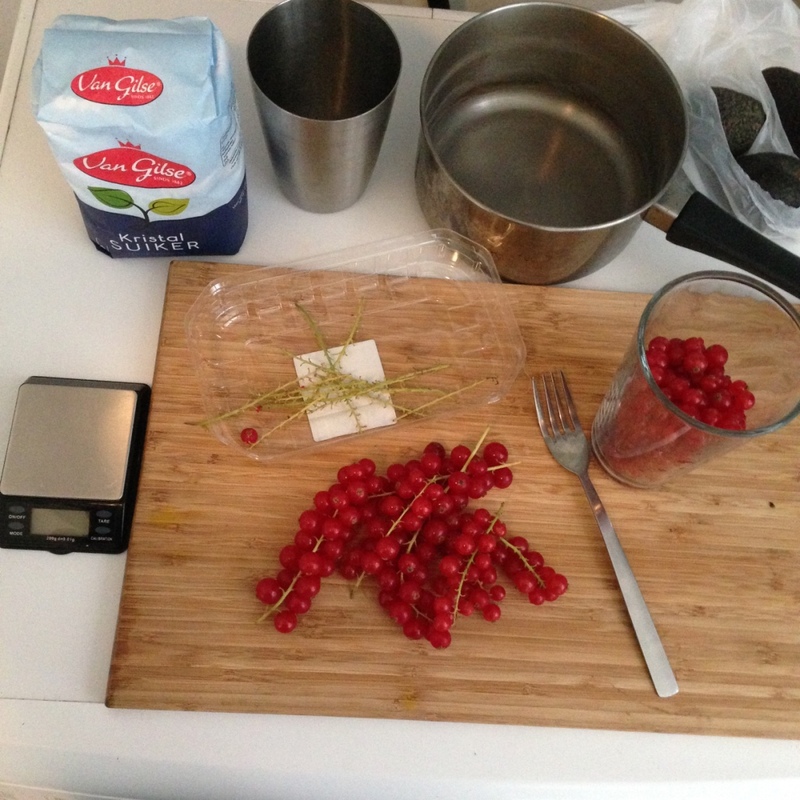 “500 gr blackcurrants or red currants; 250 gr caster sugar; 240 ml water. Cook for 5 minutes on medium heat. Reduce to low and cook another 10 minutes. Cool. Strain through a chinois. Bottle”. Remove the red currants from their stem by using a fork. Muddle the currants in a pan to get the juices out. Add all the ingredients and bring to a boil. Boil for 5 minutes while stirring occasionally. Let simmer for another 10 minutes until all the sugar is dissolved and the juices are released from the berries. Let the syrup cool and fine strain through a sieve and a second time through a coffee filter. This will take a while and you might want to use multiple coffee filters. Once strained, add a shot of vodka and store in a clean, glass bottle in the fridge. 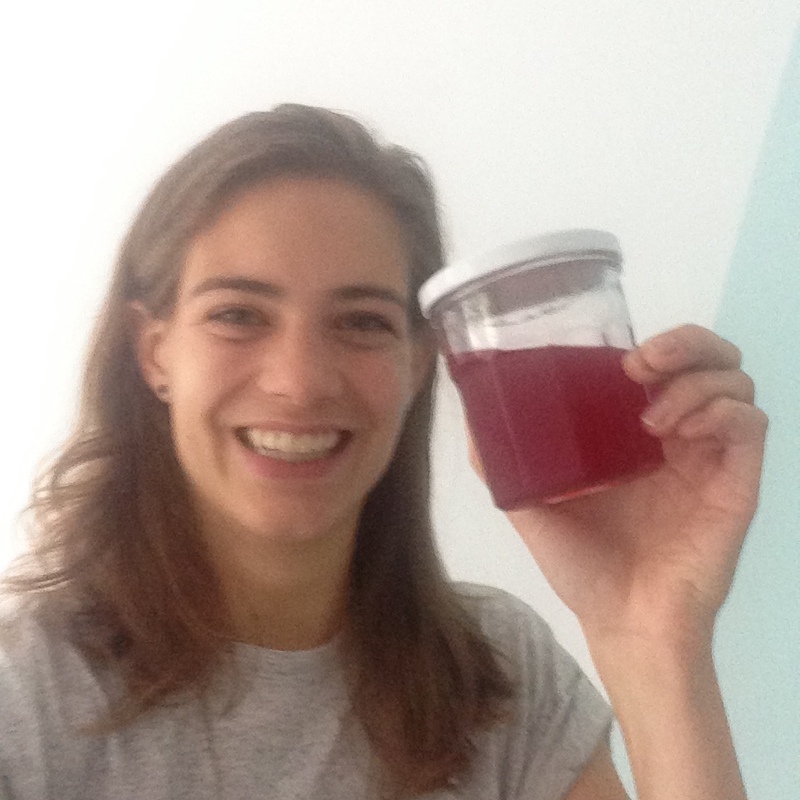 The recipe for making a Tequila Sunrise 2.0 with Don Julio Reposado tequila, homemade orange soda and this red currant syrup will follow soon!